The Pink Toque» Scrapbooking » Get My Memories Suite v4 FREE this week – no trick, just a treat! Home Scrapbooking Get My Memories Suite v4 FREE this week – no trick, just a treat! Get My Memories Suite v4 FREE this week – no trick, just a treat! I know it’s been awhile since I’ve blogged about all of the craftiness going on in my life, but trust me when I say I’ve been busy! My small, handmade geeky soap business, GEEKSOAP, is busier than ever, and most of my free time is spent working on orders and designing fun, new soaps. But as it’s October and almost Halloween (I prefer treats over tricks!) and I’ve not been keeping up well, I thought I’d update today to give ALL of my readers and followers a special treat. 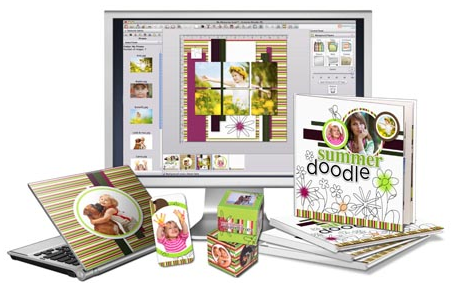 First, you know how much I loveÂ My Memories Suite digital scrapbooking software. I’ve blogged about it countless times before (my original review from 5 years ago is here) and I’ve made so many scrapbooks with it, including my baby book and first year milestone book for Liam. 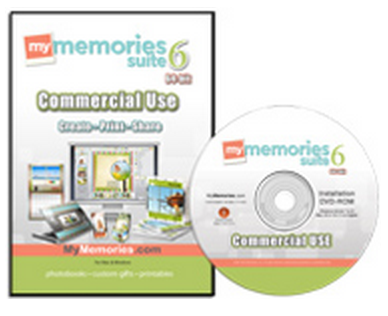 Are you ready for this?Â For this week only, you can download the My Memories Suite Version 4 software ($40 value) COMPLETELY FREE.Â Yes, you heard me right. FREE! WHAT ARE YOU WAITING FOR? Use promo codeÂ Â FreeTreatEE76Â when you check out, and getÂ My Memories Suite v4 softwareÂ for FREE!Â No tricks, just treats – thanks for being a reader! And with another kiddo on the way, I’m going to start creating my baby book and first year milestone book templates/QPs in My Memories Suite ahead of time so I can just drop in photos once baby Lila is born to make things easier. If you want to check out the pages I created for Liam’s books, check out his baby book gallery and one year milestone gallery. (And now imagine something similar with owls & birds!) Stay tuned for me to share those designs as I create them. I also would like to update again soon with some more in-depth info and pictures on the various projects I’m working on for her. Such an exciting time! Hopefully this big software freebie will jump start your scrapping. Take care!